Taboo first opened its doors in 1989 in Eastbourne’s bustling Arndale Centre. Well renowned locally, the shop premises has changed throughout the years, however, the original concept and owner (Neil’s) ethos has remained the same; to source, produce and deliver the highest quality sterling silver jewellery. Neil Lamprell, the innovative founder of Taboo has built the company from humble beginnings to one of the most highly regarded silver businesses in East Sussex. 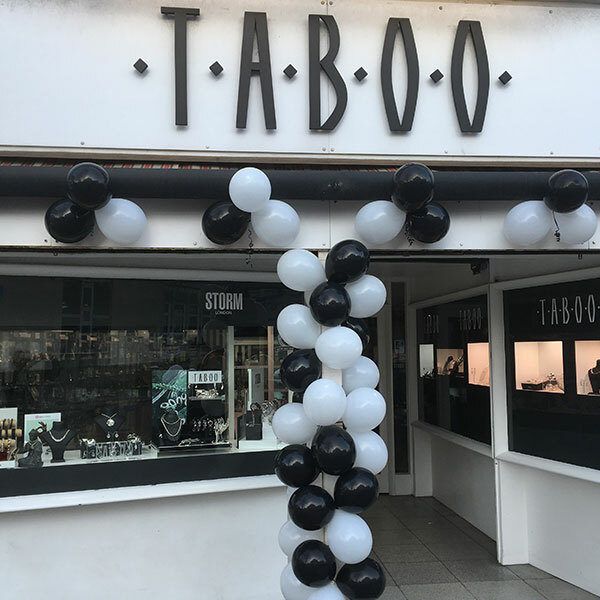 Taboo was one of the first shops in the local area to specialise in silver jewellery alone, and to this day still brings an exclusive look at the Jewellery market. The shop is mostly family run with Neil’s daughter Hannah taking an active role within the business in recent years. Neil began personally importing his own range of silver jewellery from Mexico almost 30 years ago, but now also imports from Sri Lanka, Turkey and Poland. Neil & Hannah take regular trips to produce and source new & exciting jewellery collections to bring to the town of Eastbourne. Although we stock a range of well-known brands, the shop is fundamentally renowned for its large selection of handmade self-imported silver goods. We constantly strive to offer unique, quality jewellery at affordable prices with the most exceptional customer service. We believe that customer service is the key to a successful business and feel that you don’t experience the same personal approach in the larger chain stores. We feel that being a family run business helps to create the positive, fun atmosphere that we are well known in this town for.